In spirit I am at Beataine Cottage in Ireland. Today and tomorrow my blogger friend Colette is having an open house to benefit the Leitrim Animal Sanctuary. Tea and cakes will be served among other things. Cost is 10 euros. A great opportunity to meet Colette and her cats and dogs and to be able to see what one person has accomplished with a derelict cottage and some barren land. If you can’t come please check out her blog at Bealtaine Cottage at word press. I have long since misplaced the package of these runner bean seeds so I can’t tell you what the name of them are. I love the color of the flowers and the leaves. 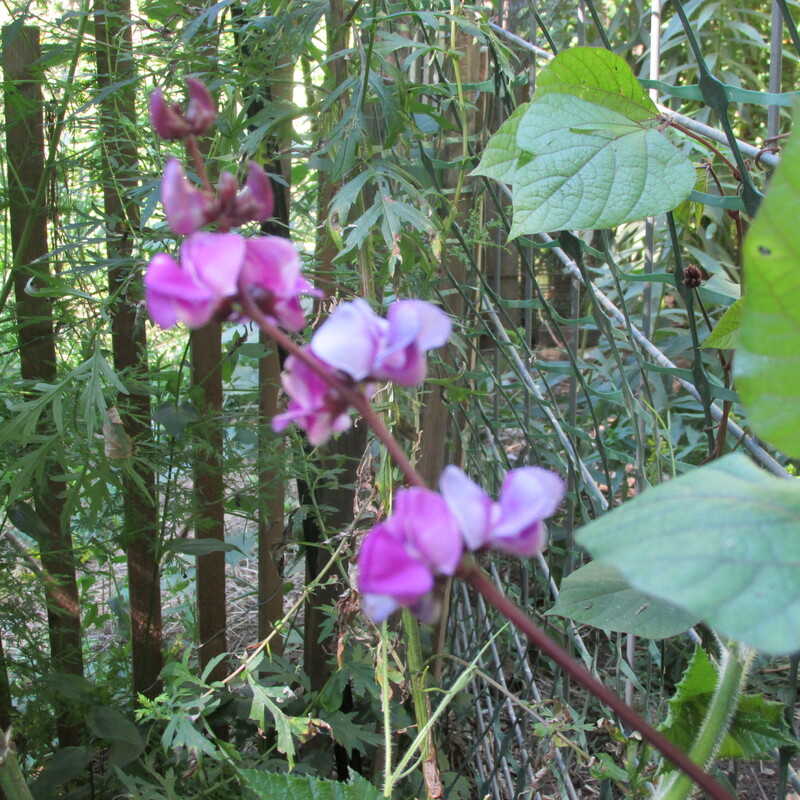 Quite a difference from the Scarlet Runner bean. I must say though that its September and they have just begun to bloom. It could have been the place they were planted but I think I will go back to the Scarlet Runner Bean next year. I started these inside late spring, by now the scarlet ones would have formed seed pods, I hope these have a chance to do that but I would rather doubt it. The second installment of this wonderful e-book arrived in my in-box. I printed it out and was dazzled by the patterns in this section. 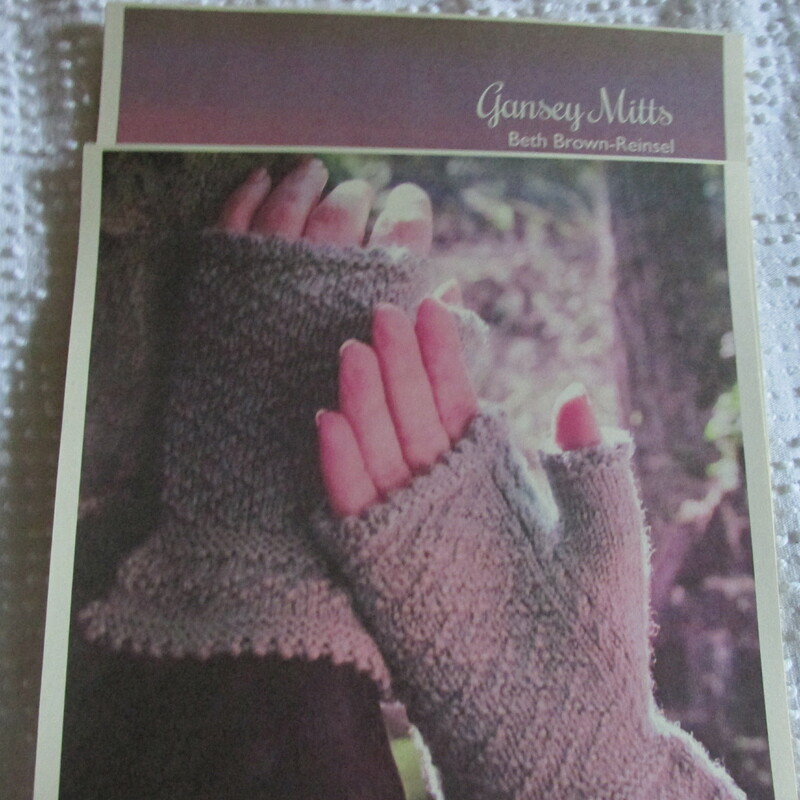 I especially love Beth Brown-Reinsel’s Gansey Mitts. This handspun is from one of my Angora Rabbits which I owned many years ago. 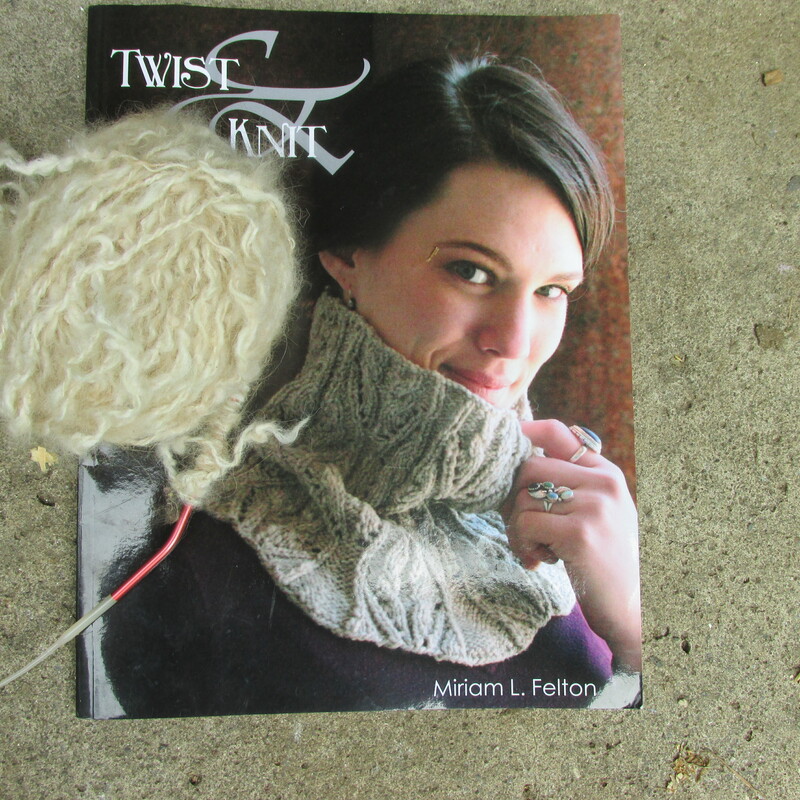 I am hoping to make this neck warmer with it. I have started knitting a gage swatch. Thanks Carole! The weekend was well attended. People came from all over Ireland and much tea and cake consumed by all. Made a whopping 200 euros for the charity!